Indonesia – Primary Investment Location? 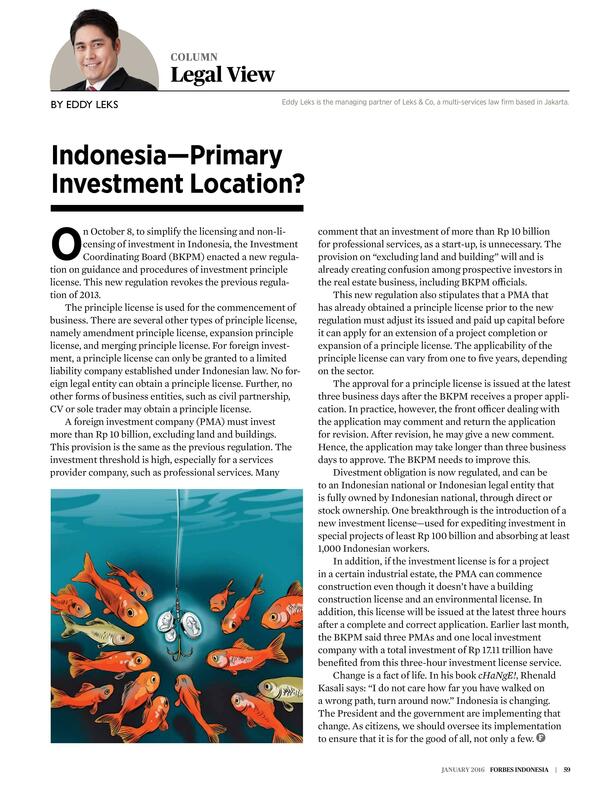 This is my legal column titled, "Indonesia - Primary Investment Location" as published in Forbes Indonesia magazine, January 2016 edition. This article discusses about the new regulation promulgated by the BKPM at late of 2015 which also introduced "investment license" that can be issued at the latest 3 hours.